Every dog is an individual, so we made dog tags that celebrate each one's unique personality! And now they're available to order! These tags were made out of quarters (copper/nickel alloy) so they're about one inch in diameter. We used metal stamps to engrave the letters and filled the cracks with permanent ink. Then we scuffed them up a bit for a weathered, but shiny, appearance. Each tag comes with a split ring to attach it to your dog's collar. Since these tags are handmade, each one will be slightly different. Just like dogs. Your tag will take up to two weeks to arrive. 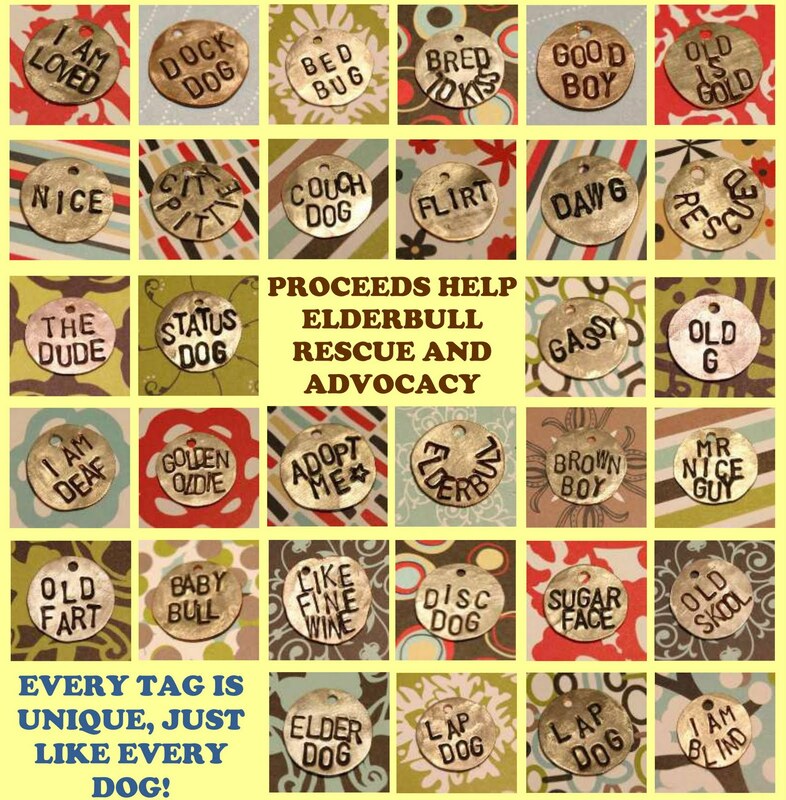 There's no set price for the tags; instead, you're invited to make a donation.....and 100% of donations will go to groups who rescue or advocate for Elderbulls! (1) Select the tag(s) you want from the photos above. To ask about custom orders, please email elderbulls@gmail.com (if we can fit it, we'll ty it!). 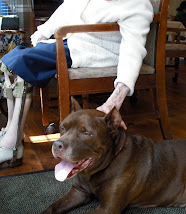 (3) Make a donation to Elderbulls (you pick the amount!). Got questions? Email us at elderbulls@gmail.com. 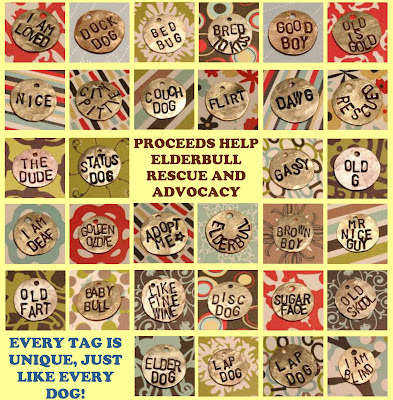 Thanks for celebrating each dog's individuality and for supporting Elderbulls in need! CLICK HERE to DONATE and order your tag(s)!